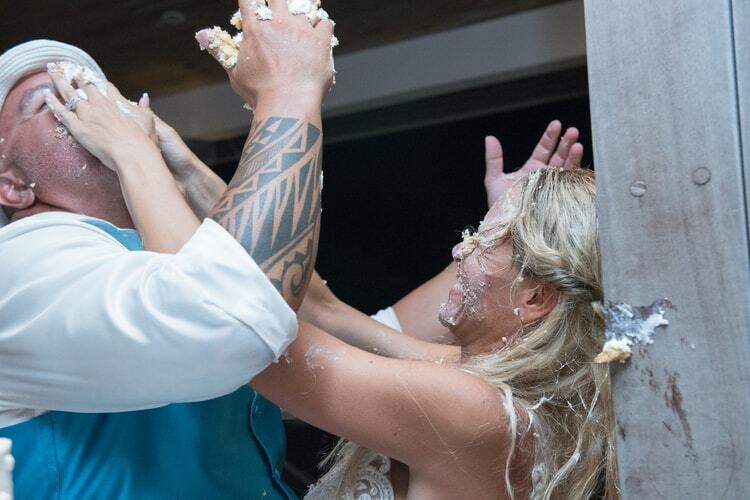 When you’ve met your match you just know! 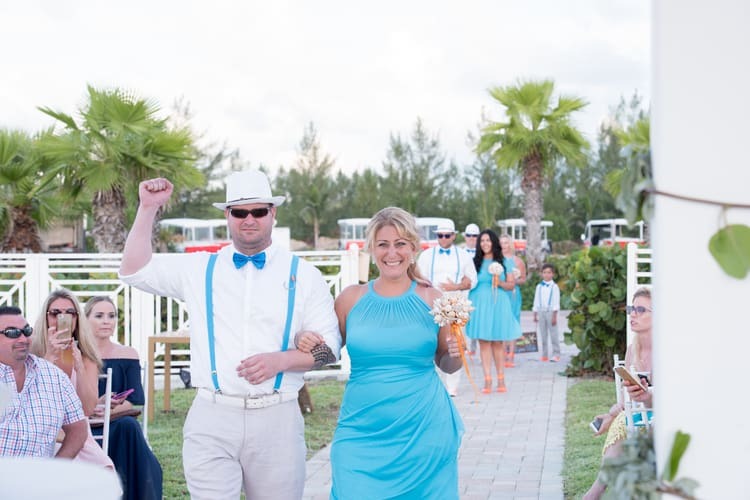 That’s how the story goes for Jessica and John, who happened to meet on Match.com! 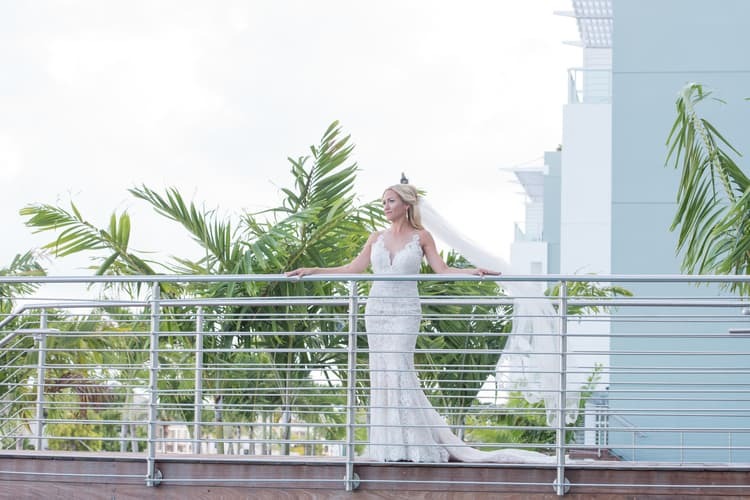 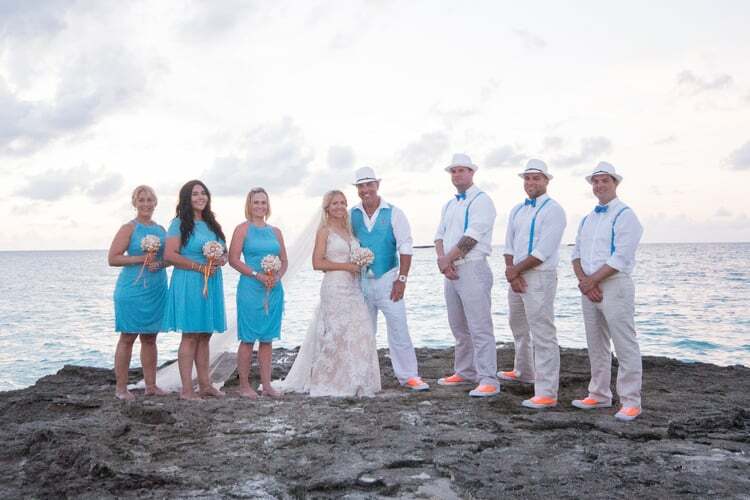 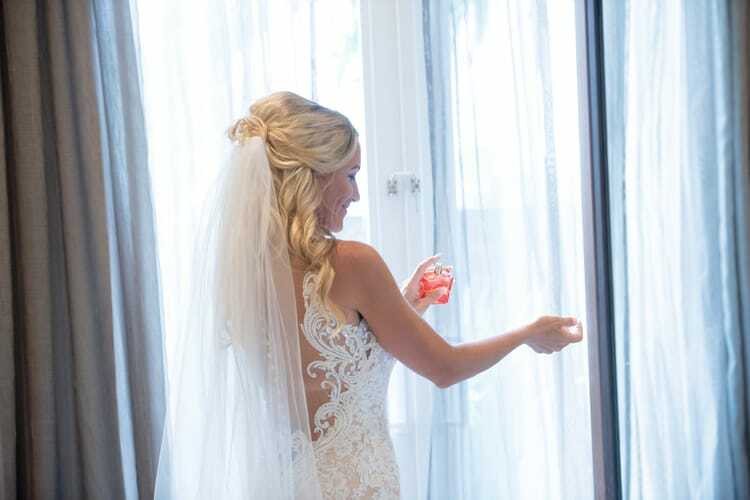 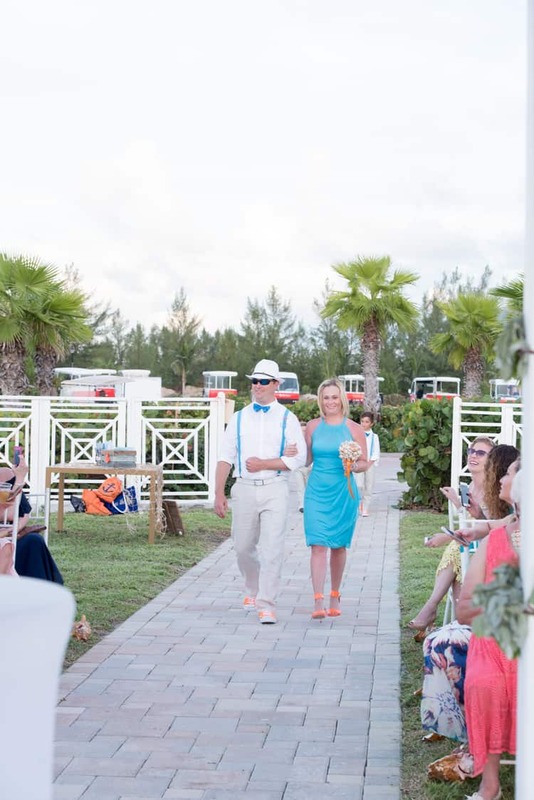 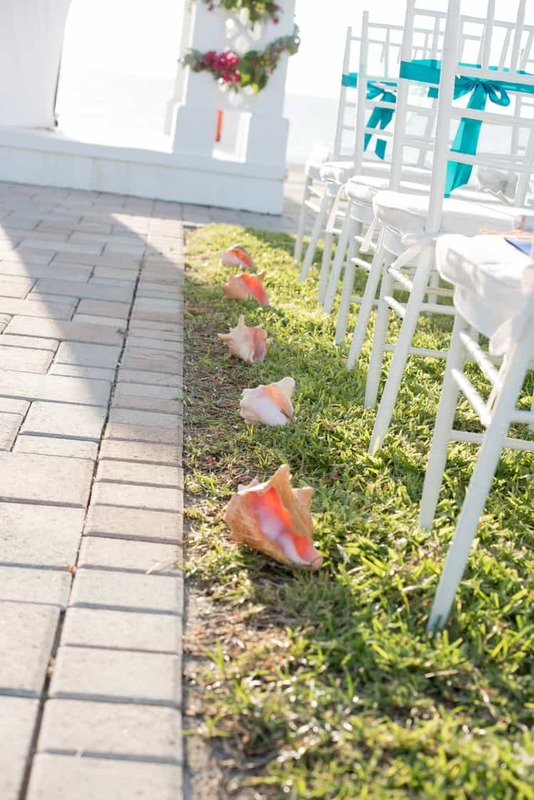 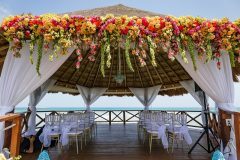 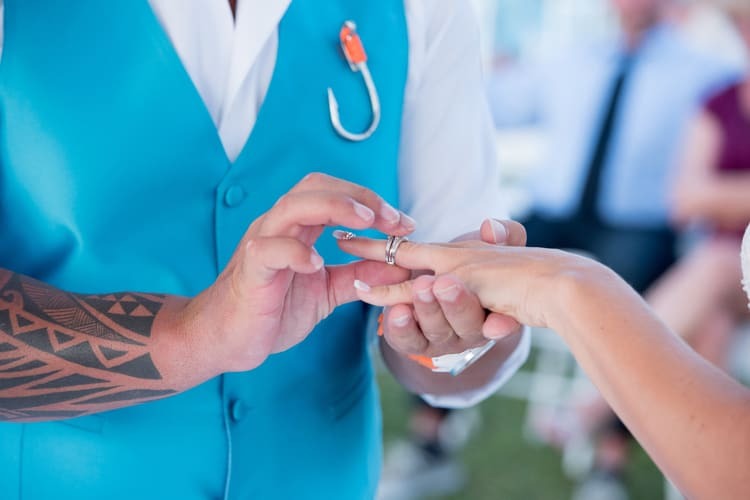 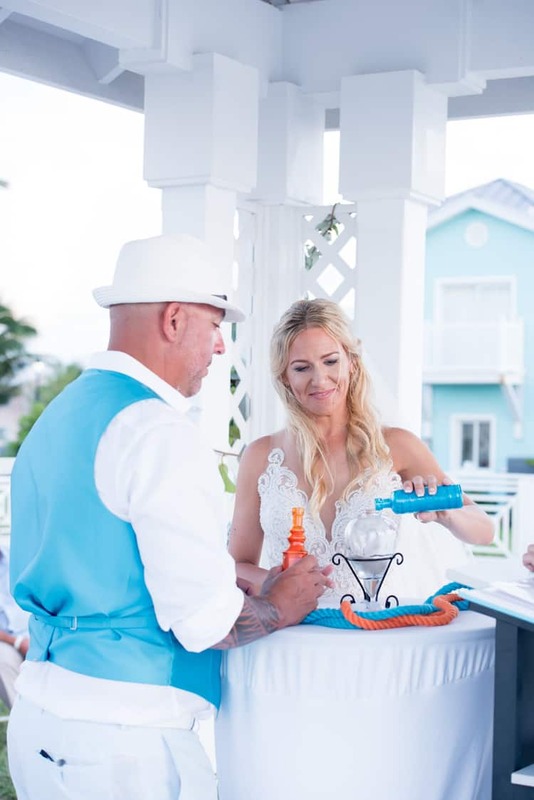 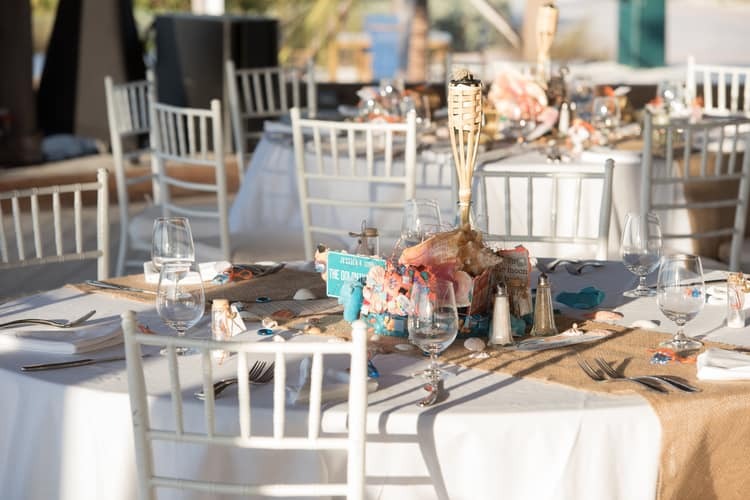 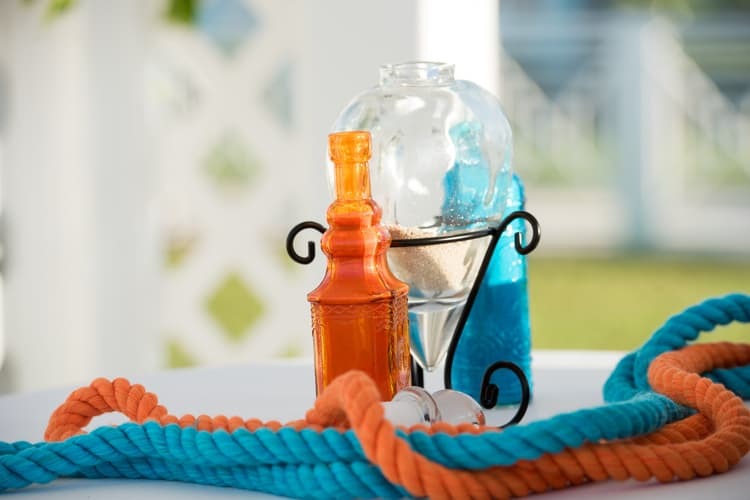 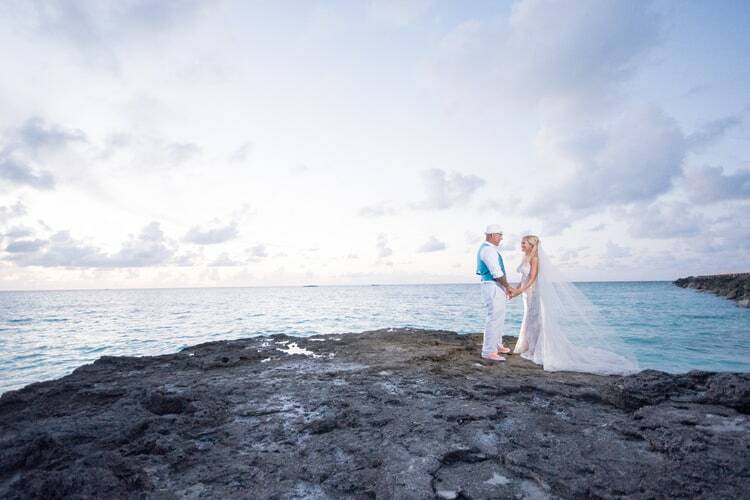 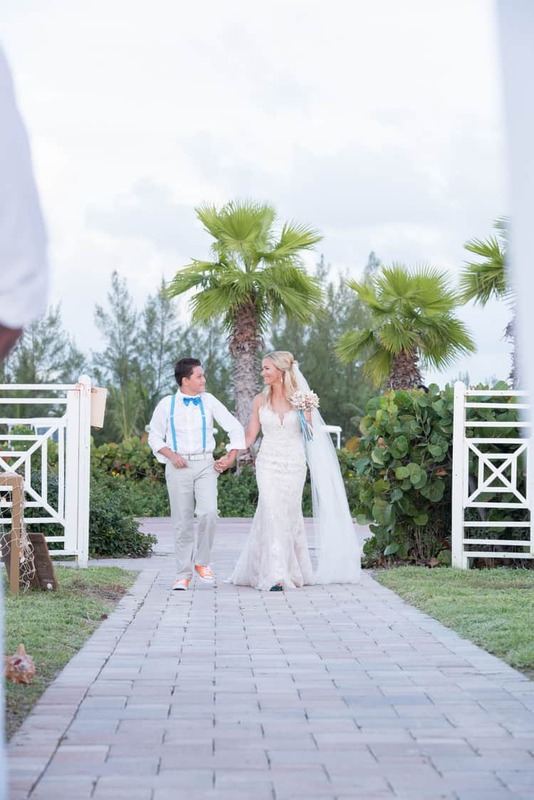 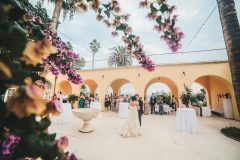 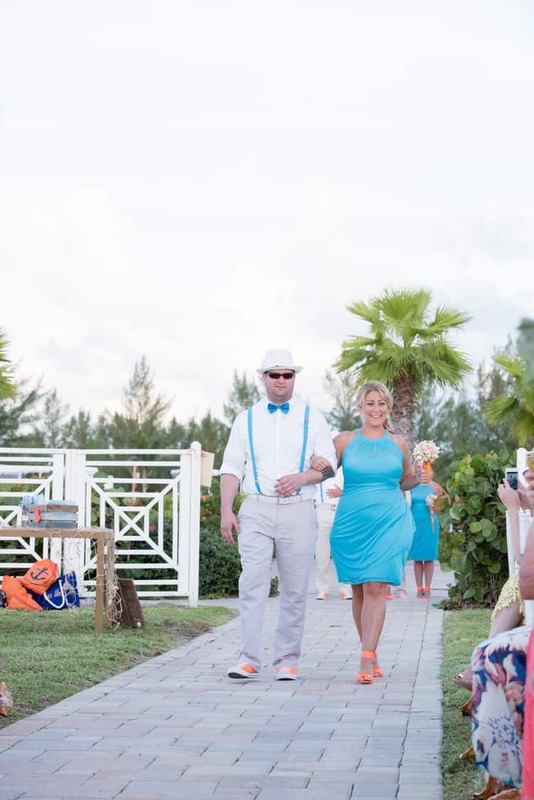 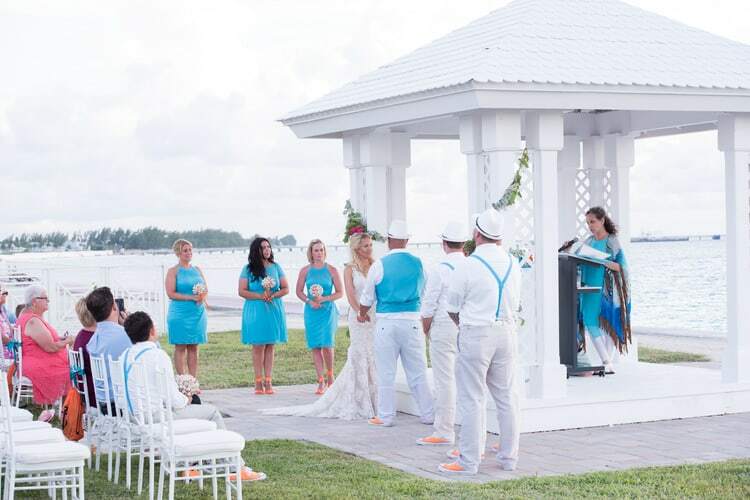 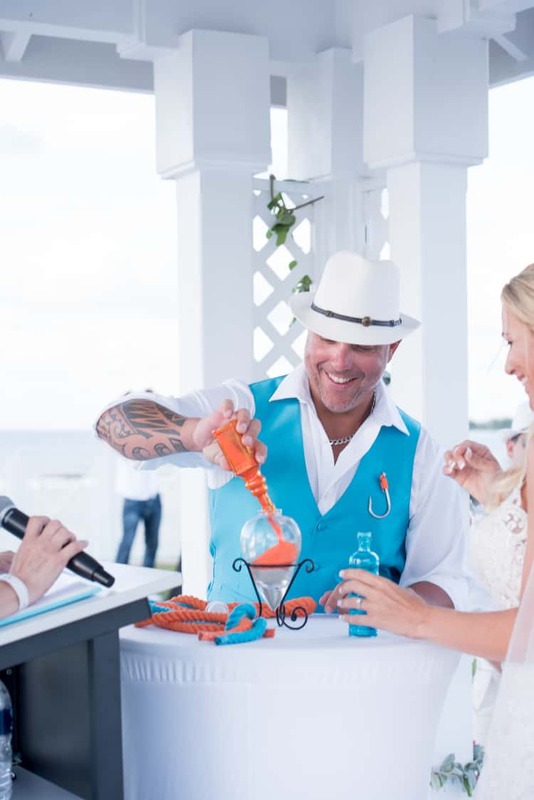 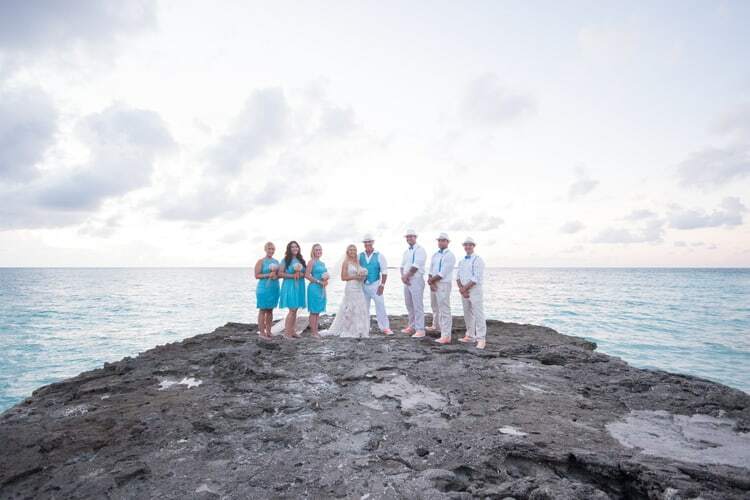 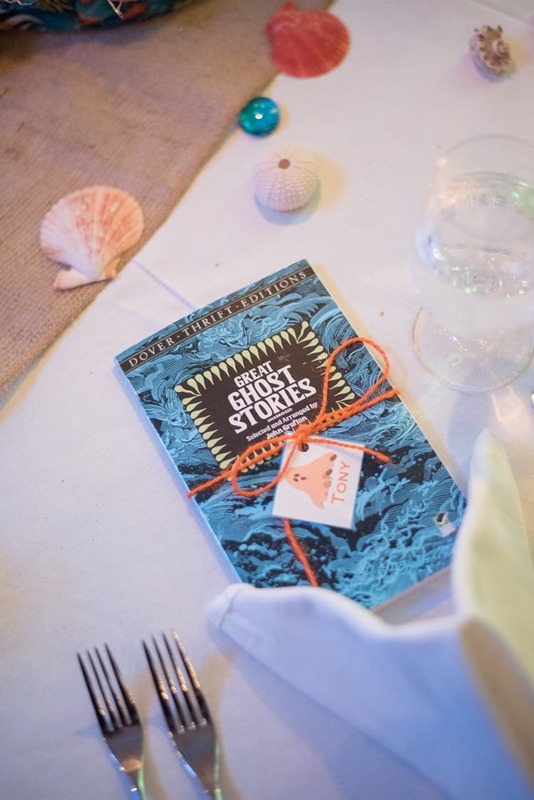 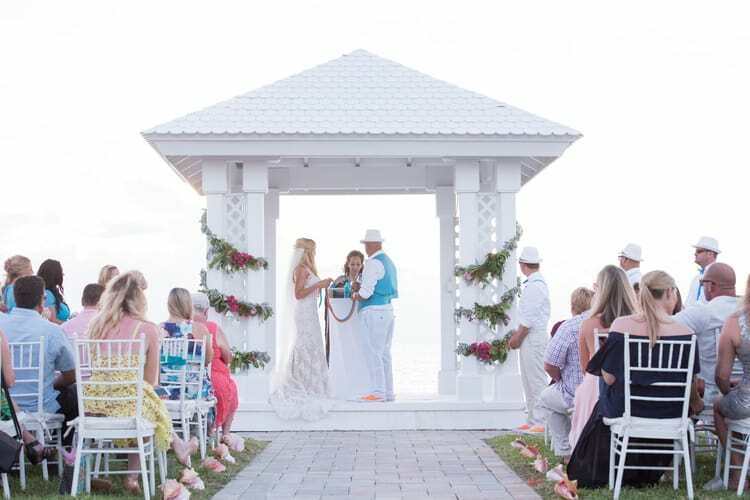 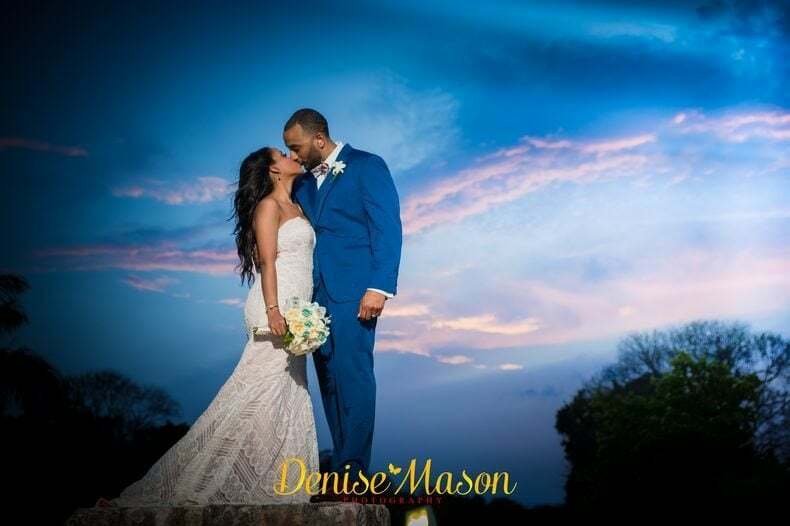 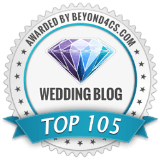 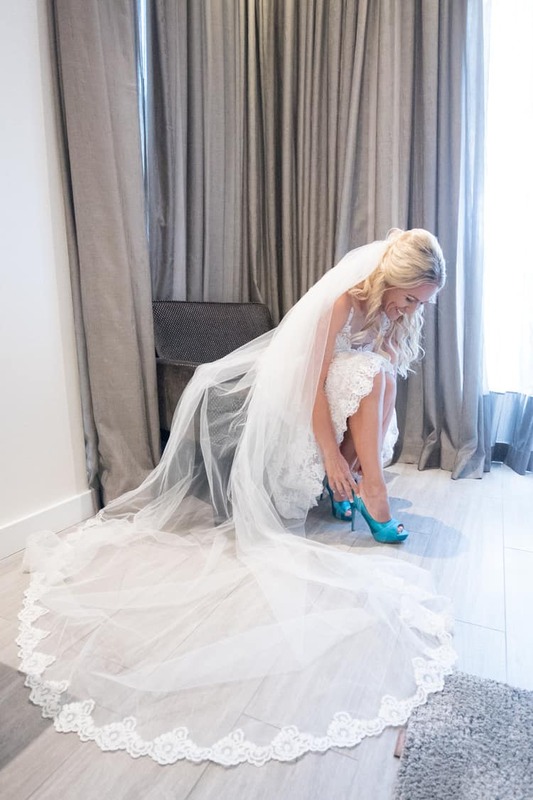 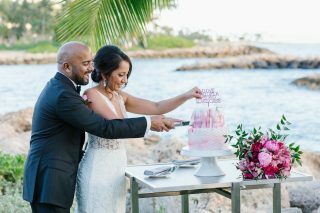 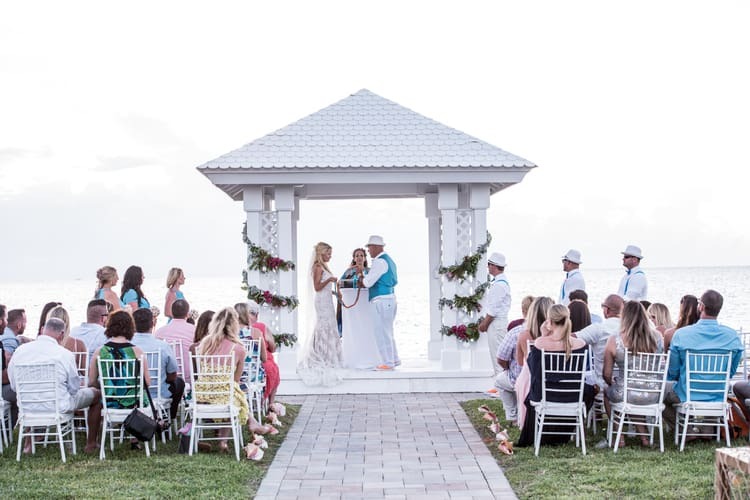 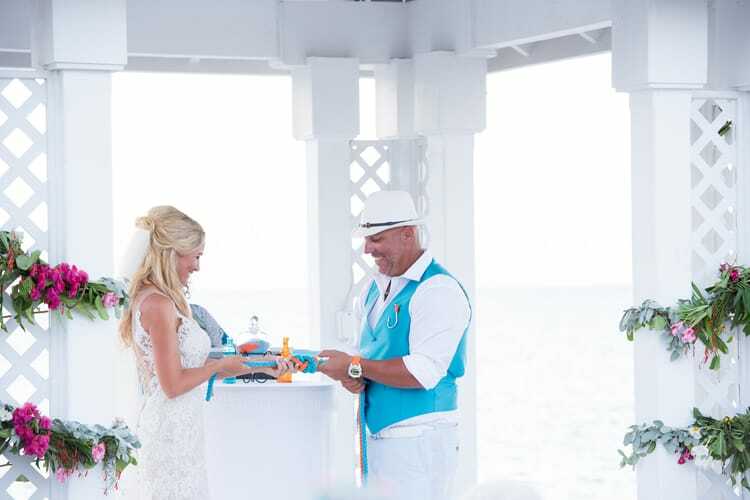 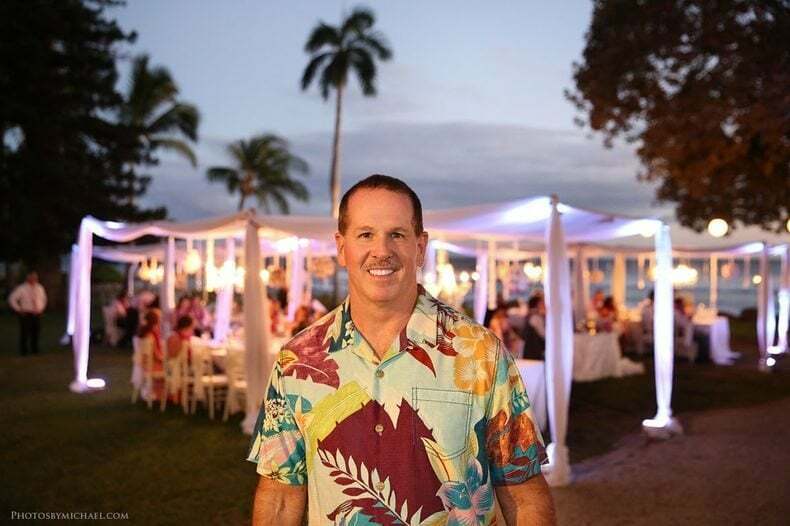 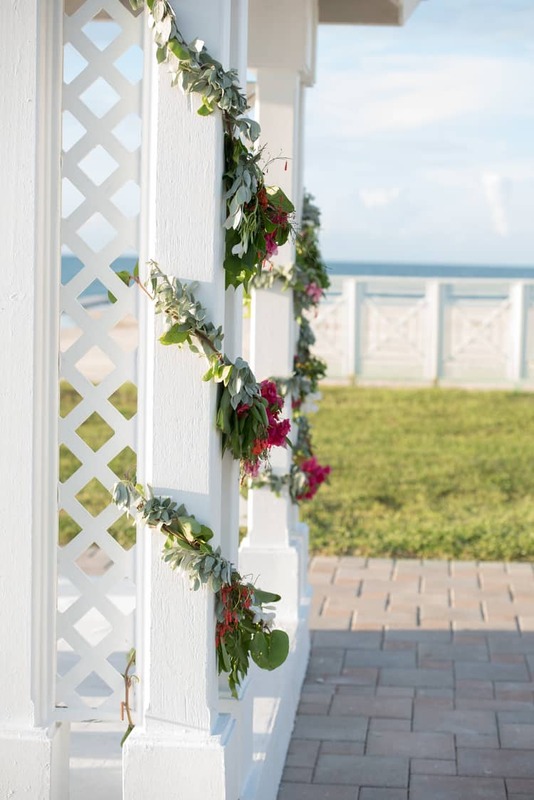 They were married in the most vibrant beach wedding I’ve ever seen – inspired by the crystal blue waters of the Bahamas… a memorable island retreat for the pair who got engaged while vacationing there! 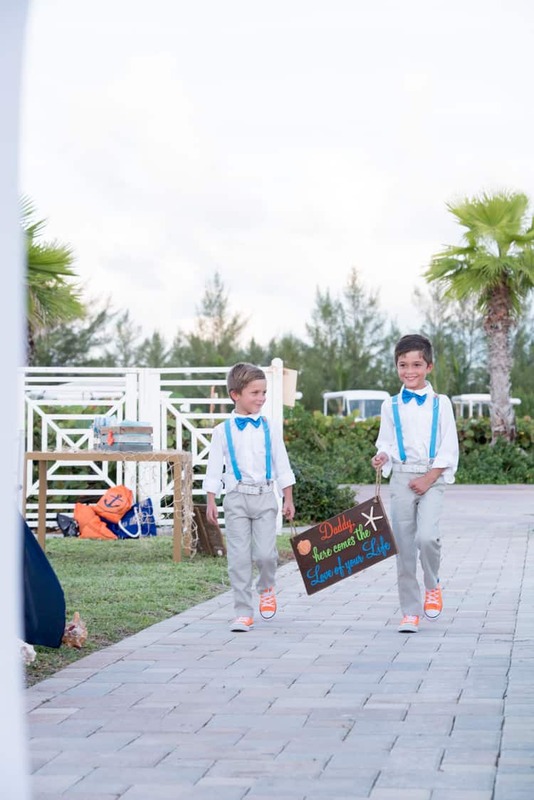 I love that this wedding was so family-centric, with John’s sons starring in the ceremony looking as cute as humanly possible. 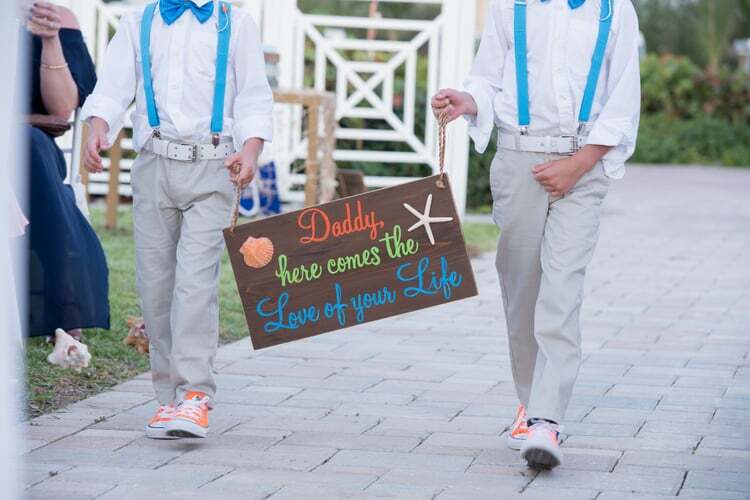 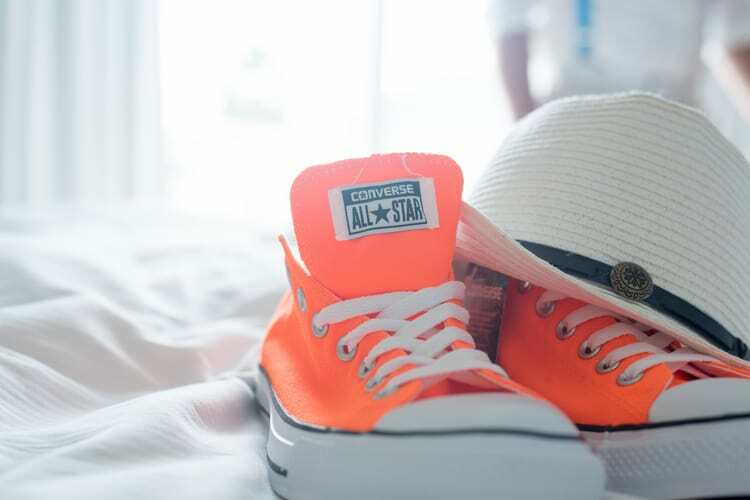 Their orange sneakers? 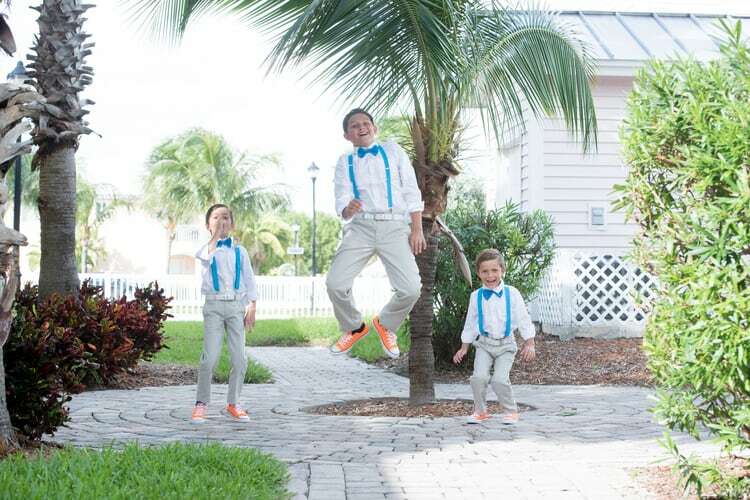 Gah! 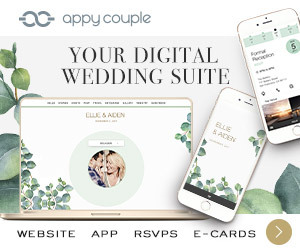 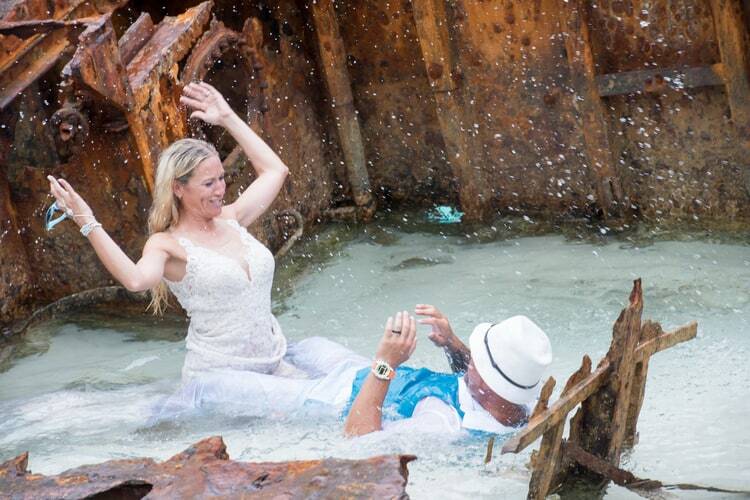 Everyone is beaming with joy for the happy couple – and it’s simply heartwarming to see. 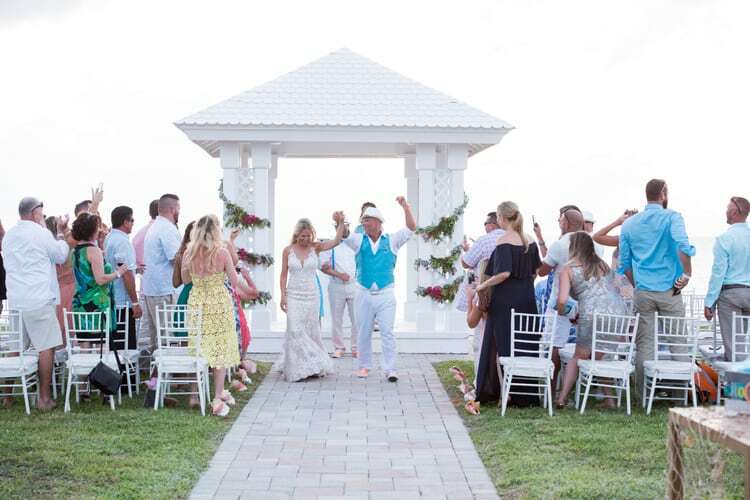 And hey, getting the whole gang down to the Bahamas to celebrate a wedding is no easy feat, but Jessica and John’s family really made the effort to be there to witness their love (I know, they probably had to twist SO many arms to get guests to join them in the Carribean). 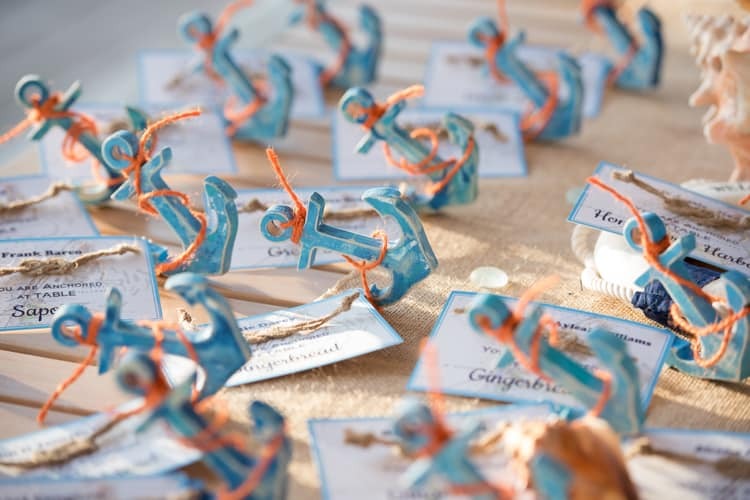 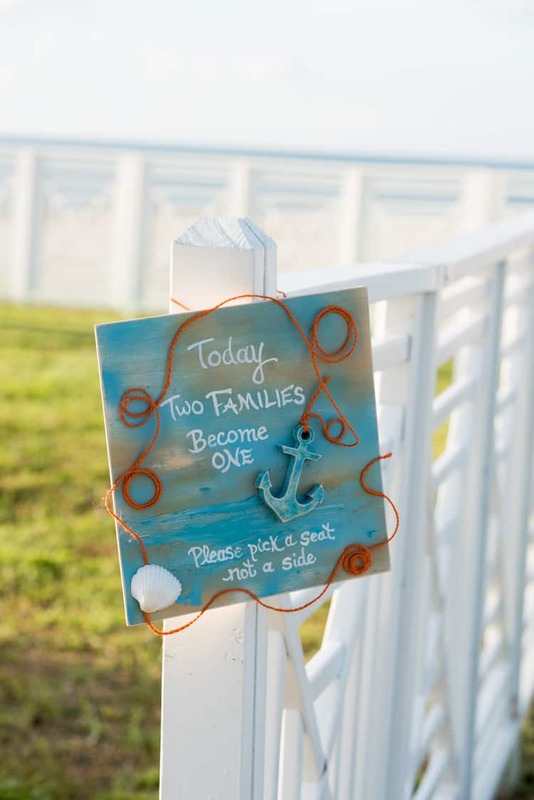 For two people who love boating and love the beach, the entire aesthetic of this wedding screamed Jessica and John. 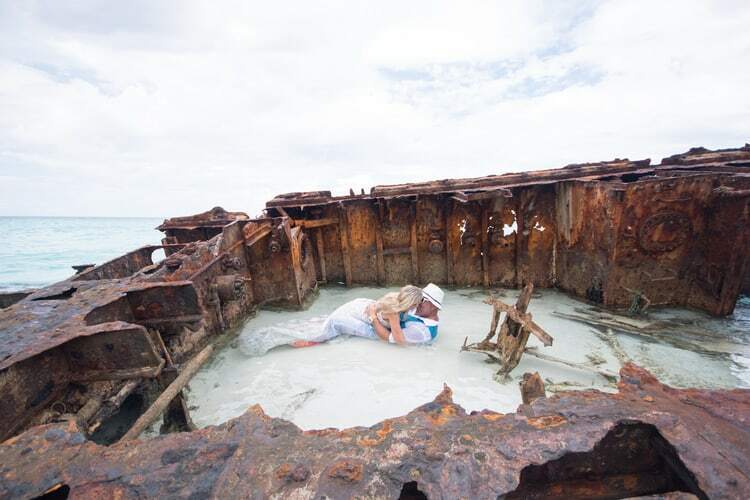 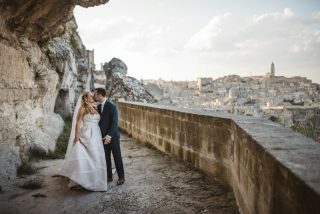 Their photo shoot was unlike any I’ve ever seen! 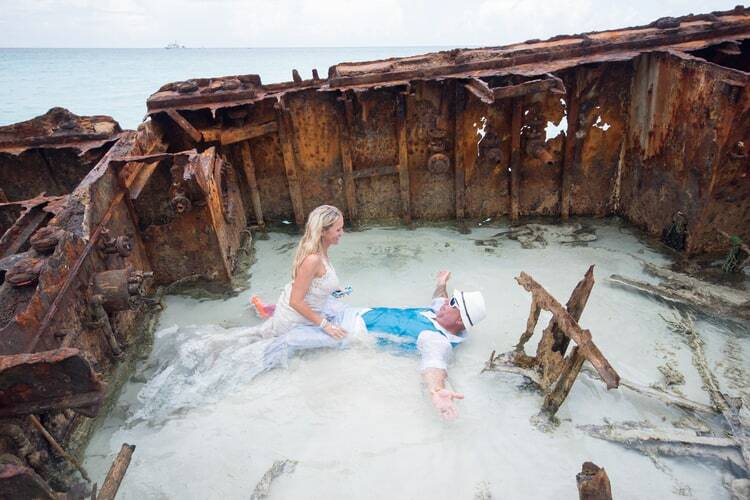 They had so much fun together splashing in the water, playing among a shipwreck and posing against the gorgeous horizon over the ocean. 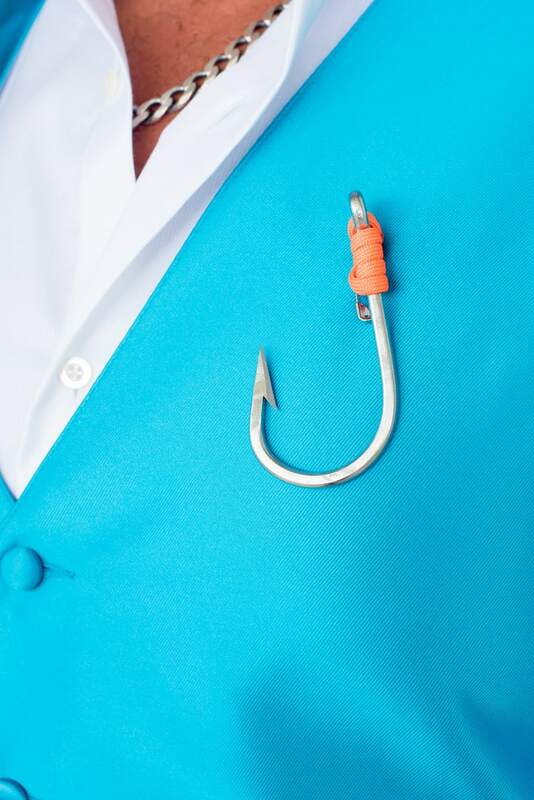 I mean, who replaces their boutonniere with a fish hook? 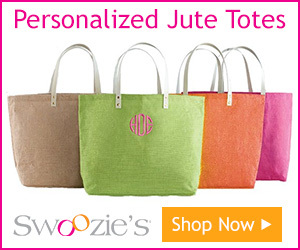 John does! 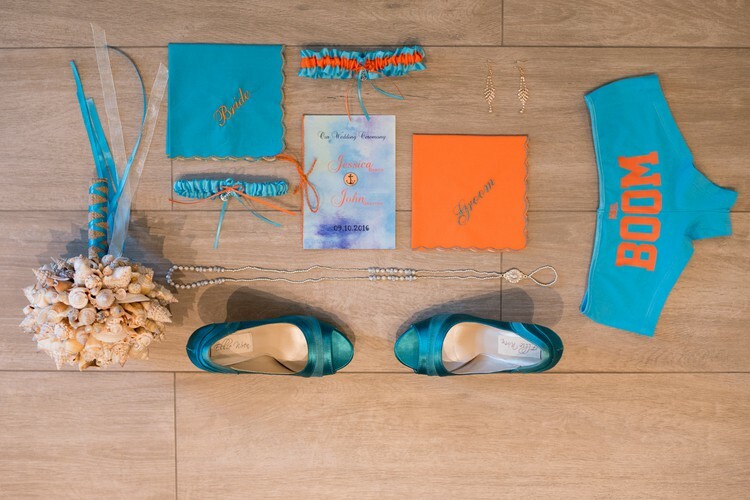 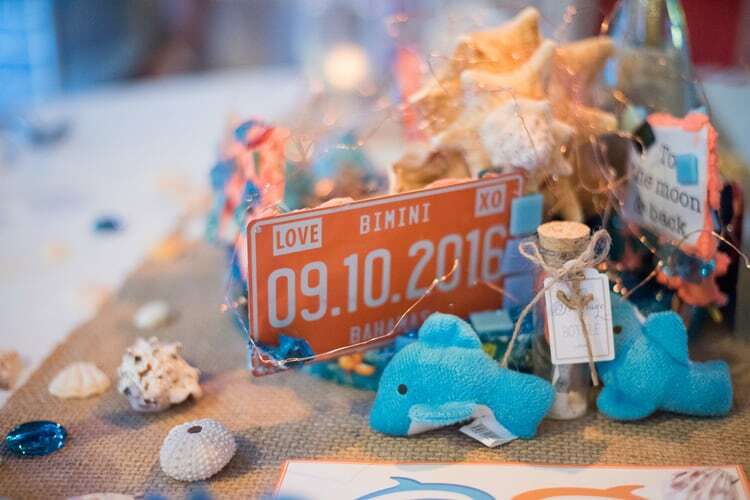 Everything from their ensembles to the decor was perfectly coordinated to uphold the aqua and orange theme. 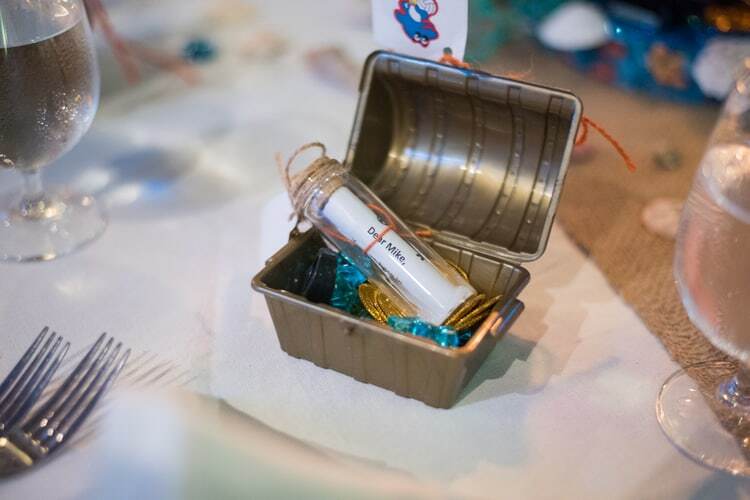 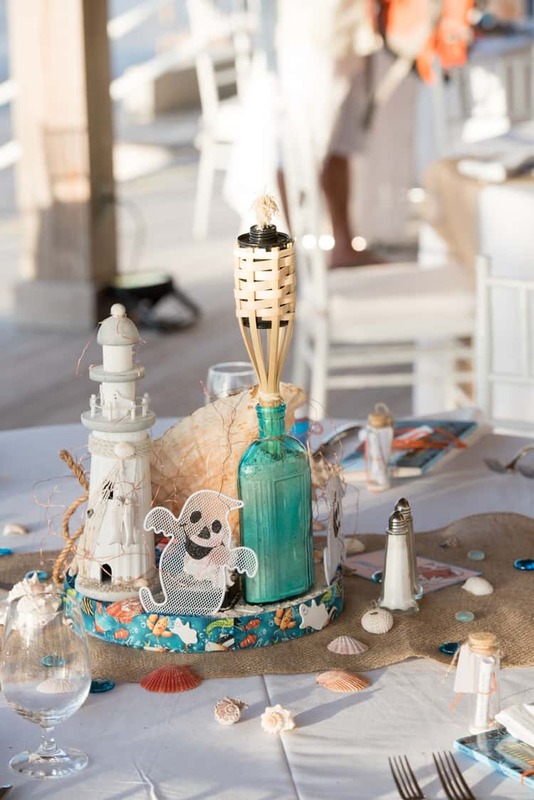 I absolutely loved how many tiny details went into creating their adorable centerpieces. 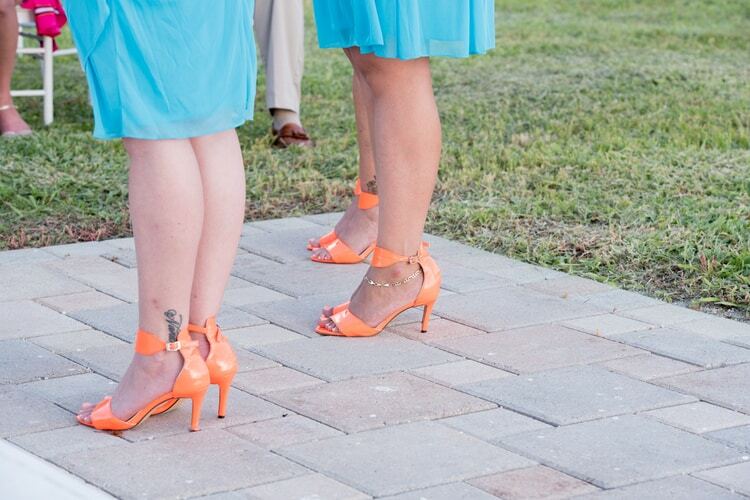 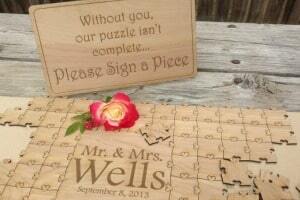 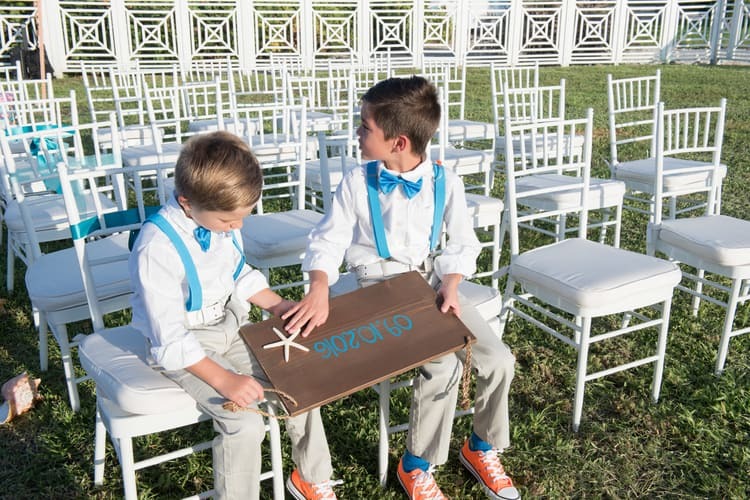 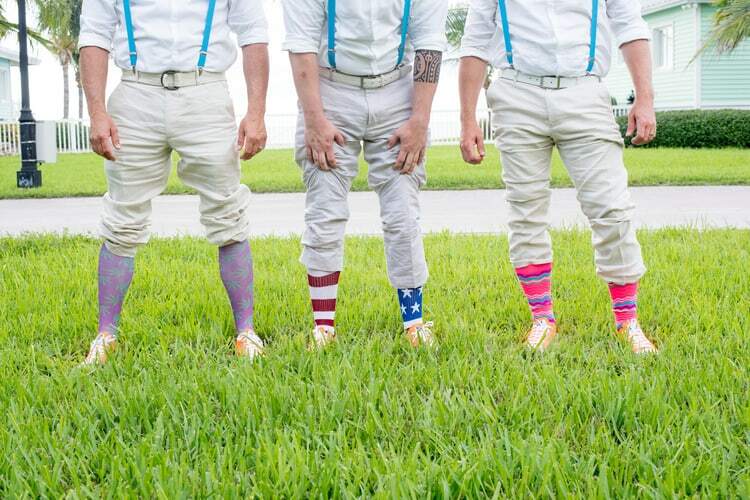 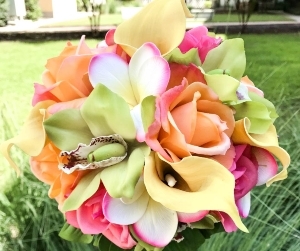 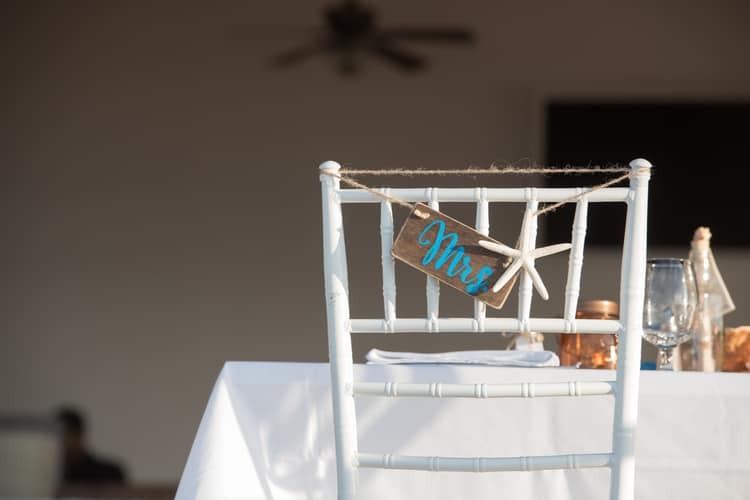 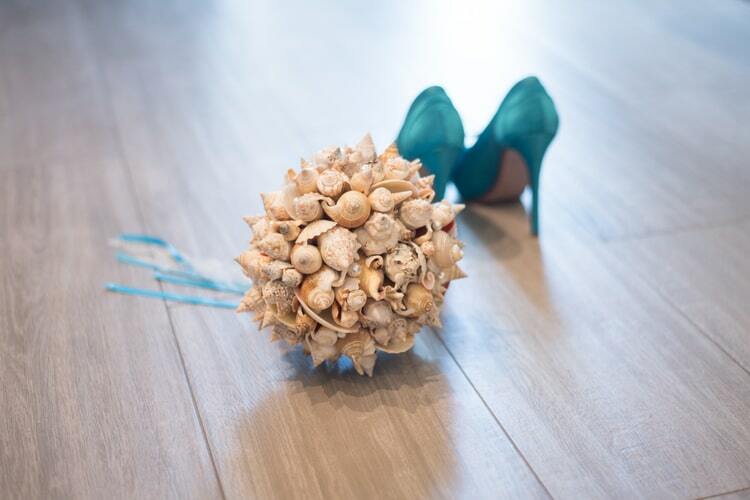 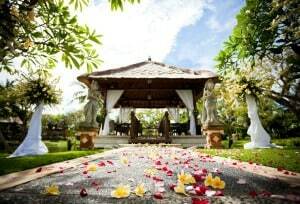 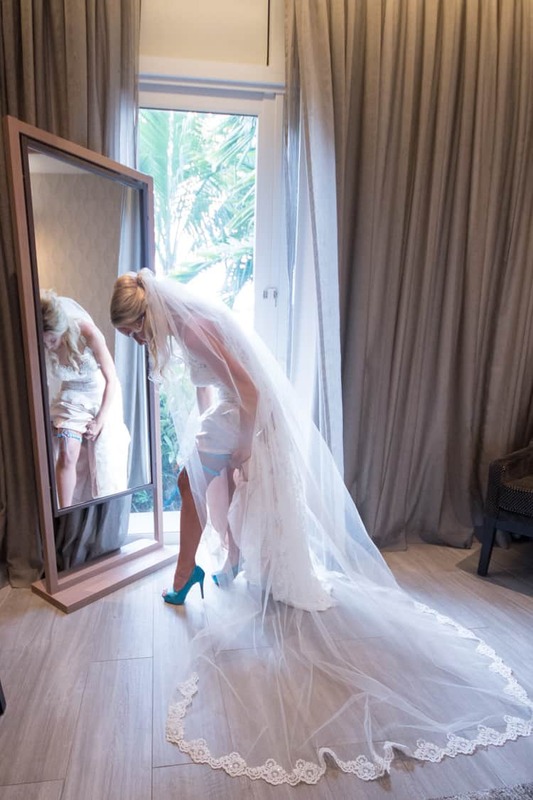 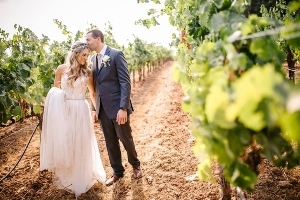 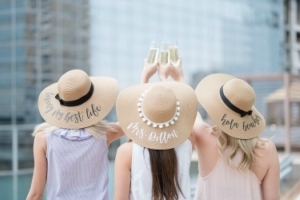 Attention to detail never goes to waste on your wedding day – they nailed it. 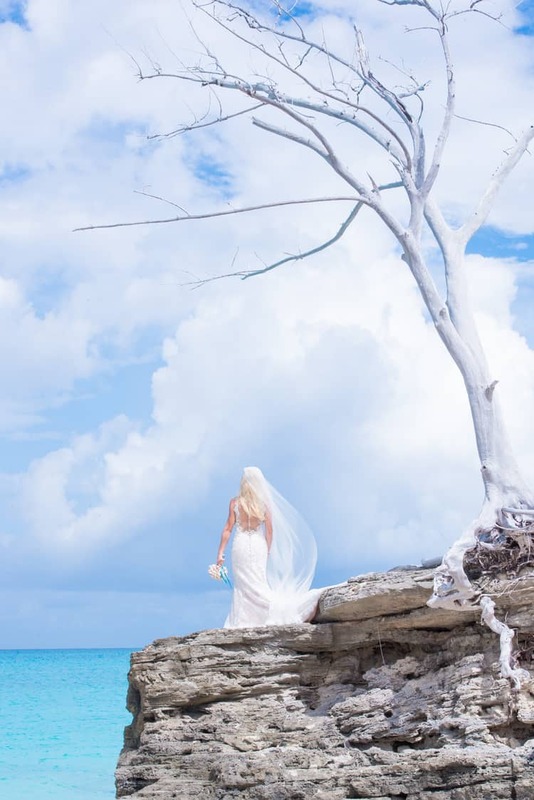 Check out these photos, captured by One Moment One Shot Photography – they’re stunning! 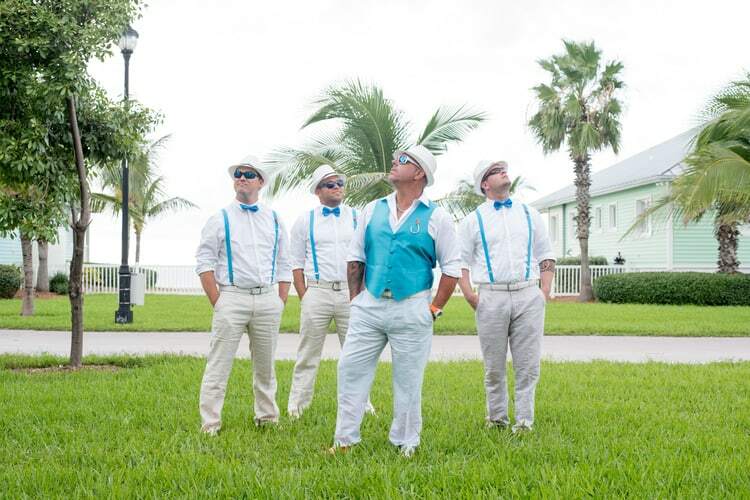 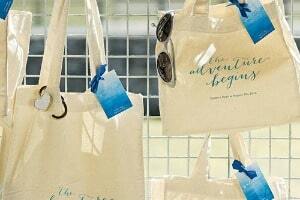 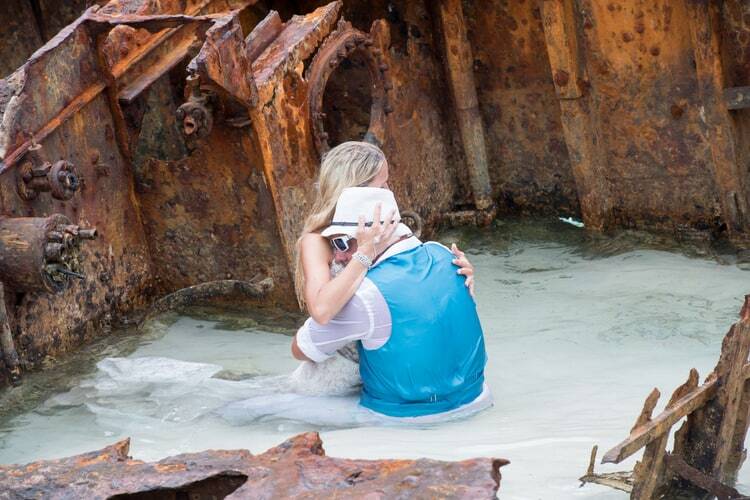 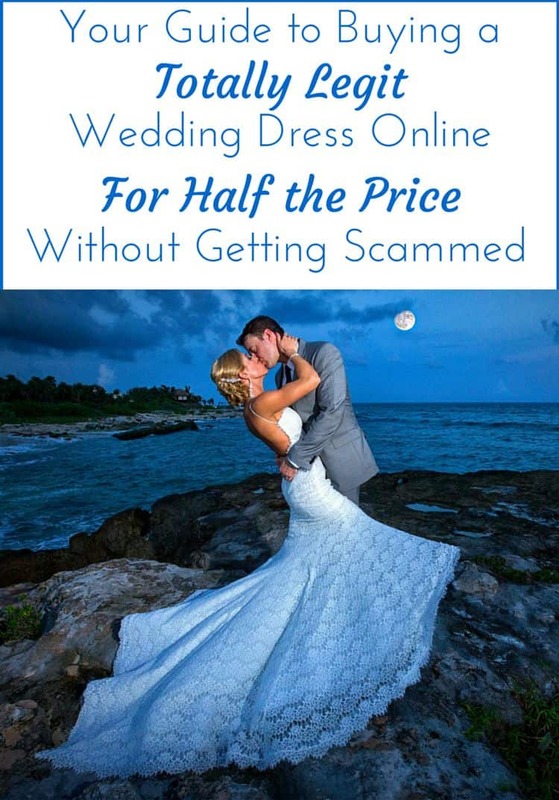 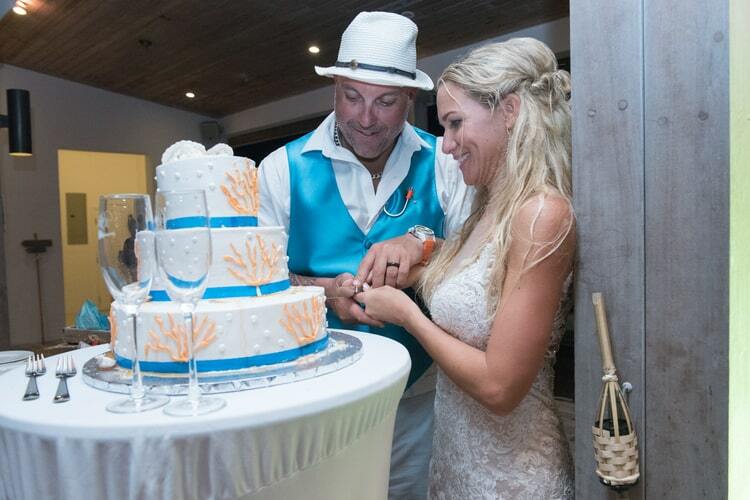 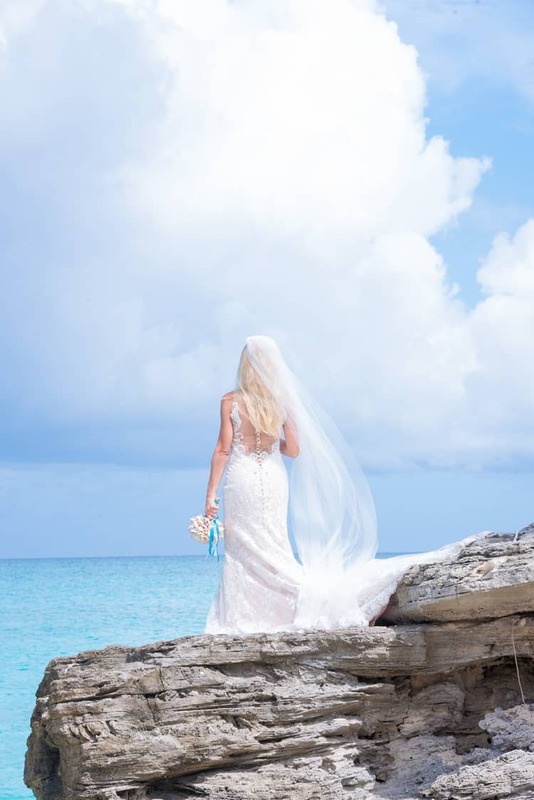 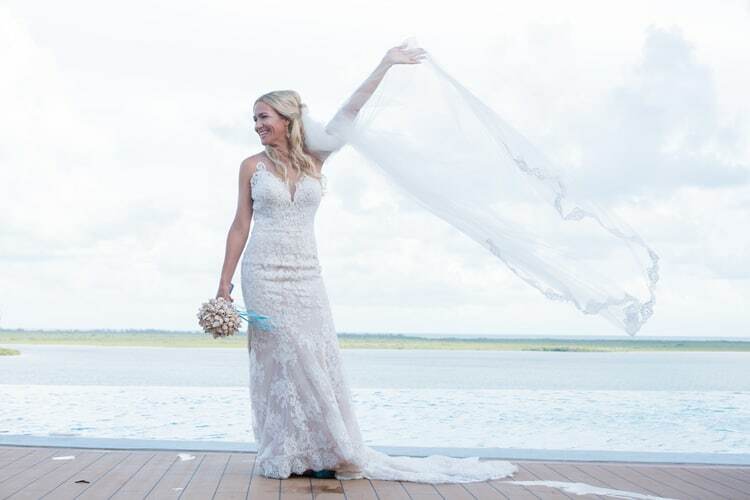 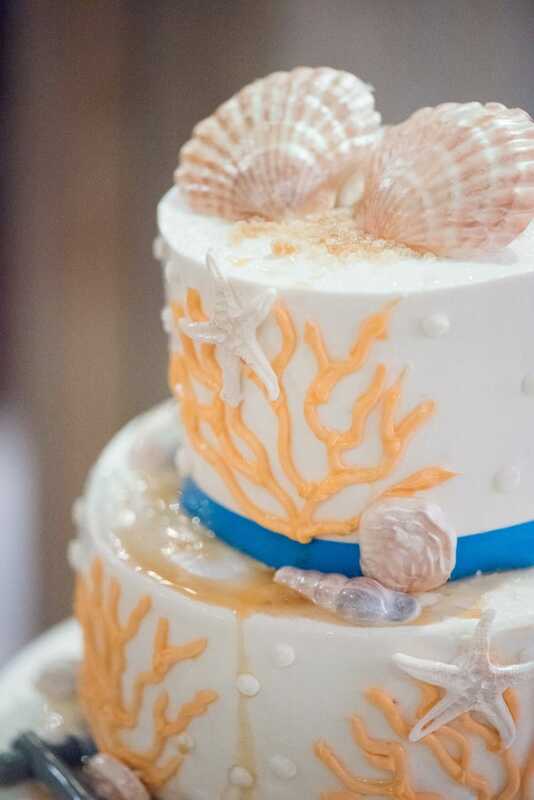 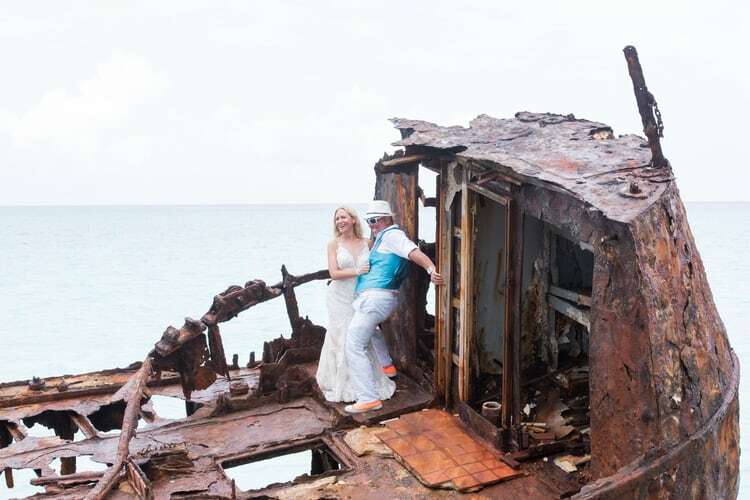 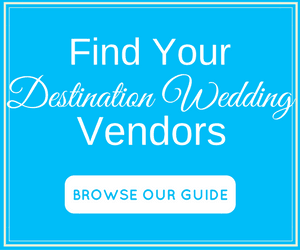 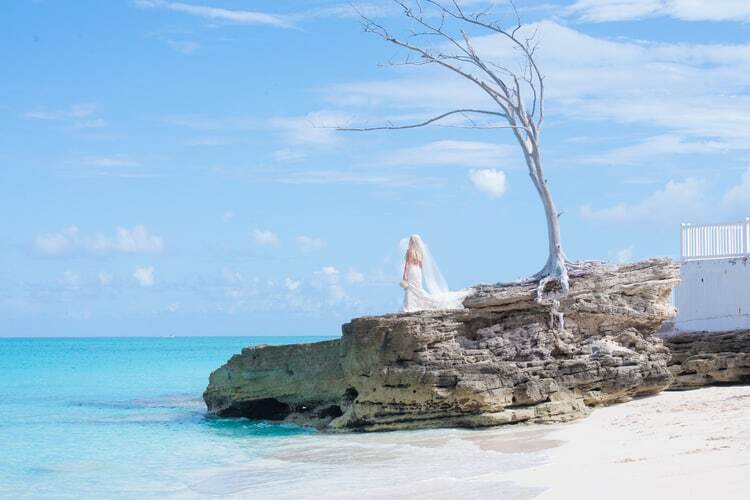 Why did you choose to have a beach wedding in The Bahamas? 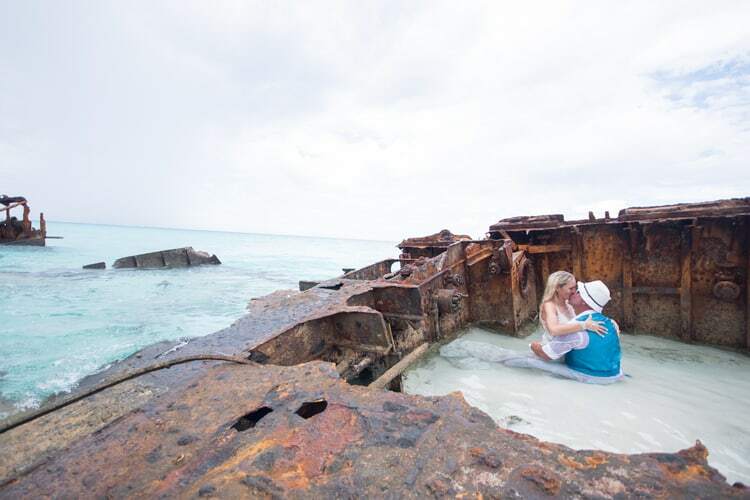 It’s where we got engaged. 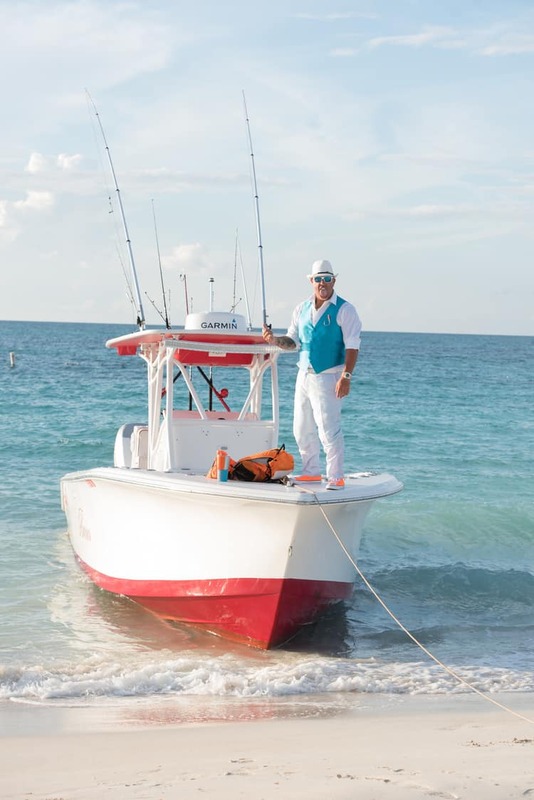 Bringing everything over and getting people there. 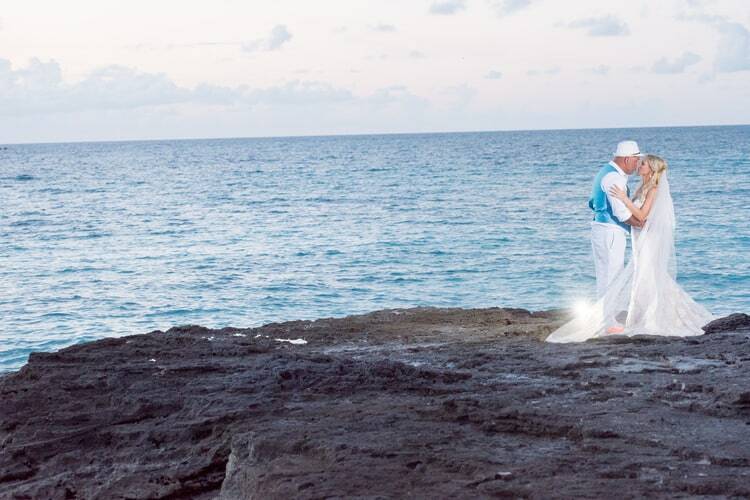 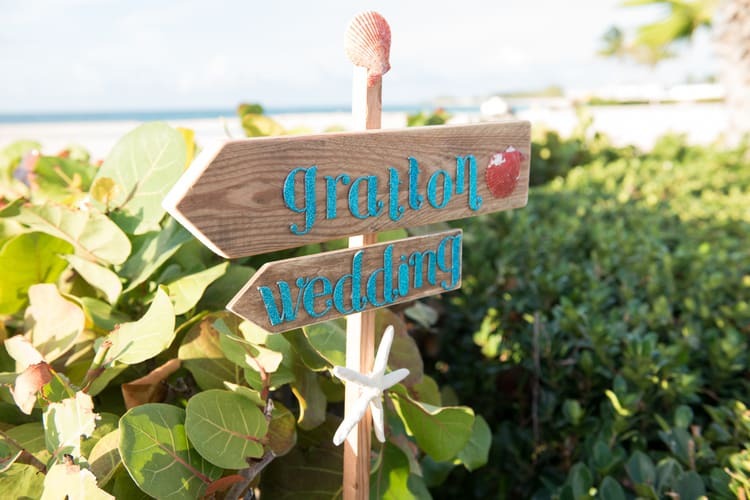 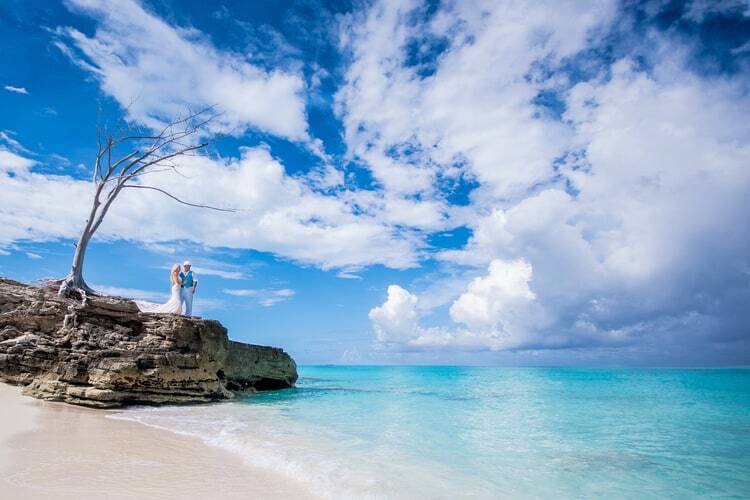 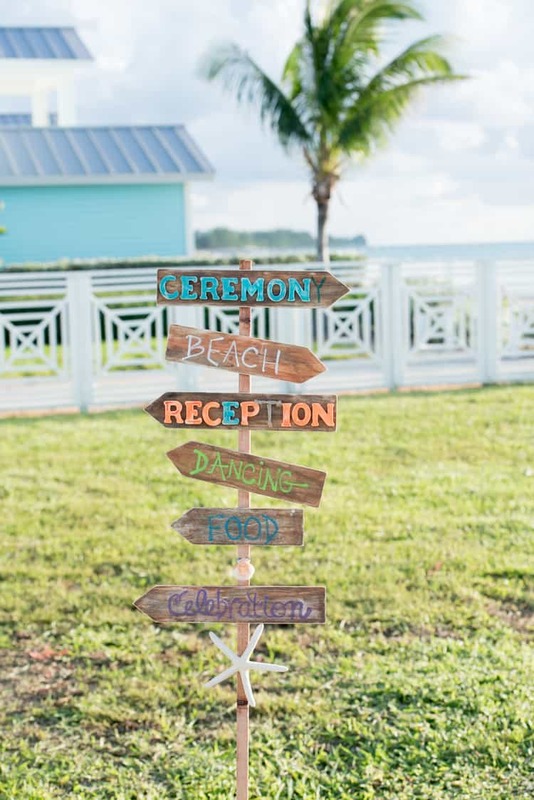 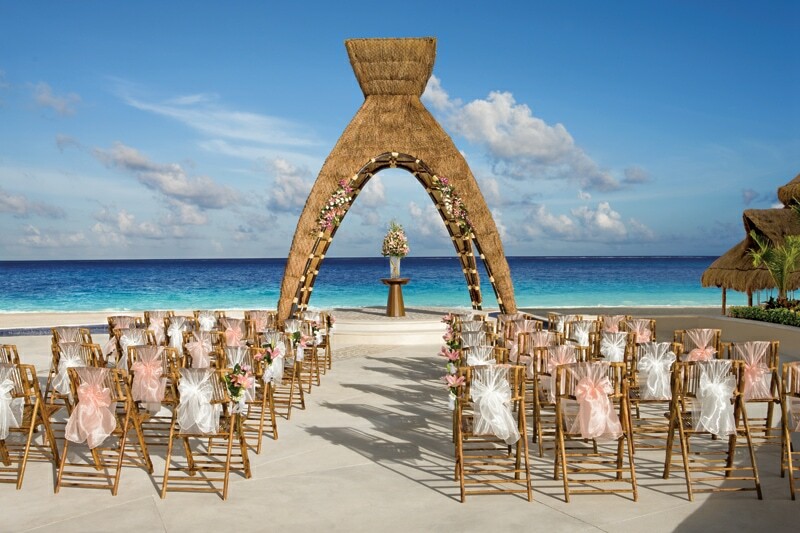 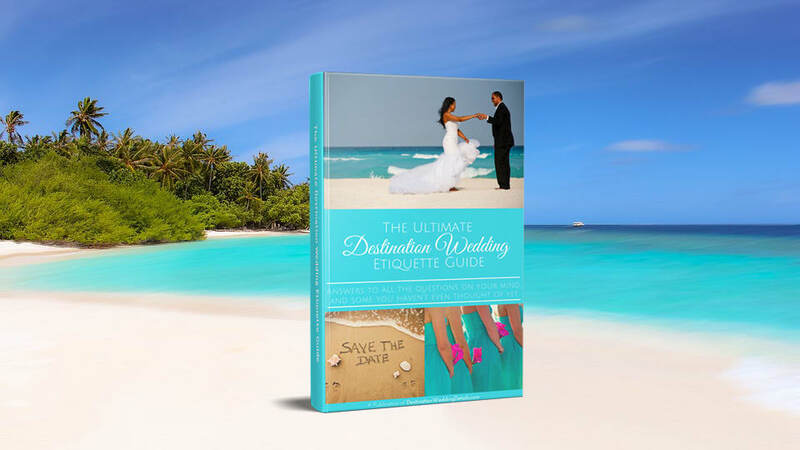 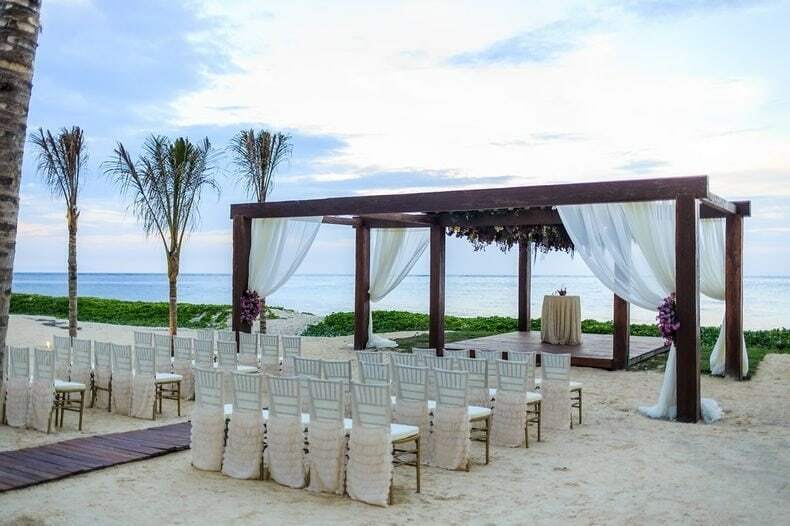 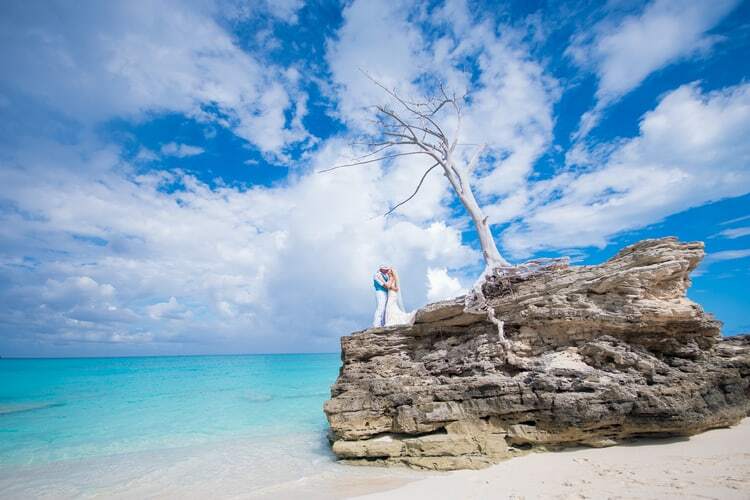 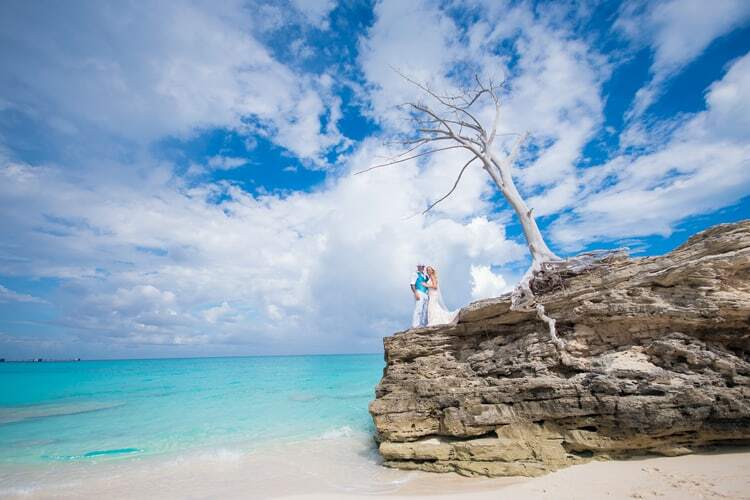 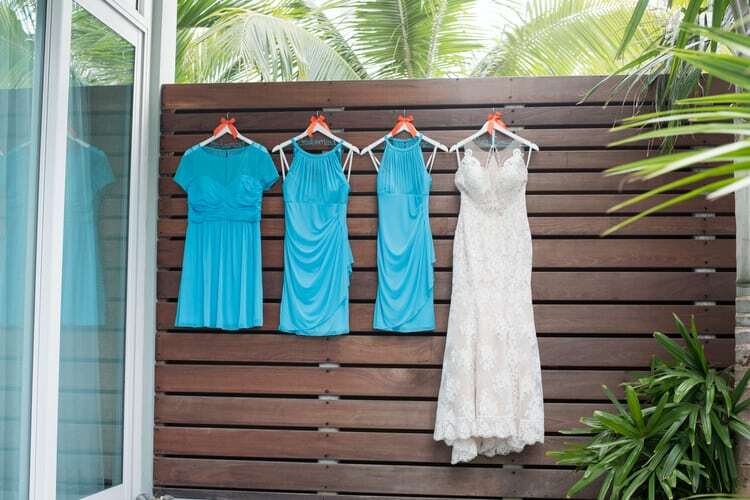 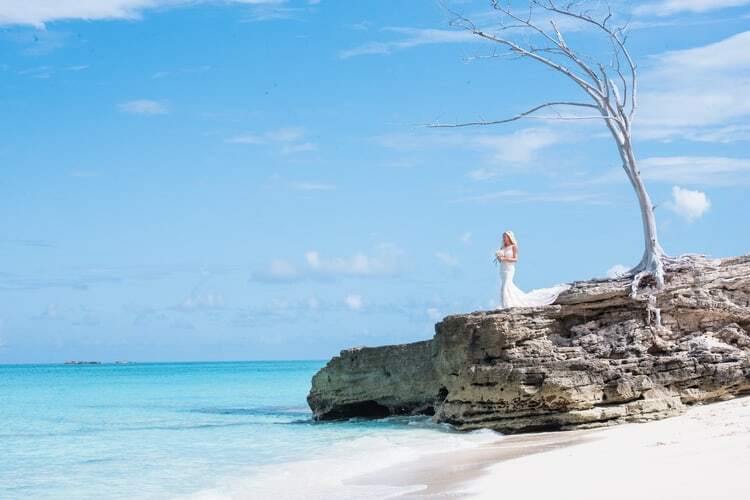 What’s your advice to others who are planning a beach wedding in The Bahamas? 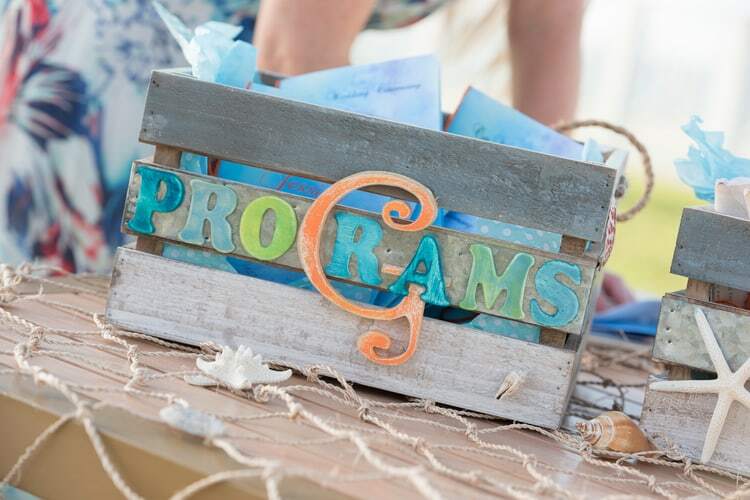 Make a list of everything you need and just go with the flow! 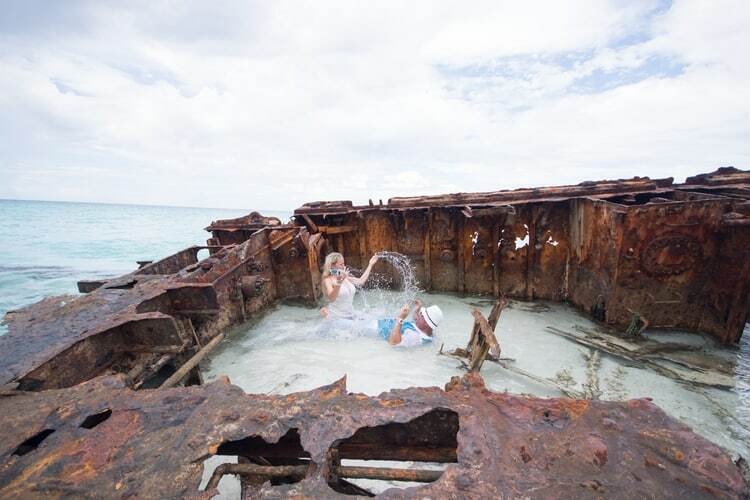 Don’t stress! 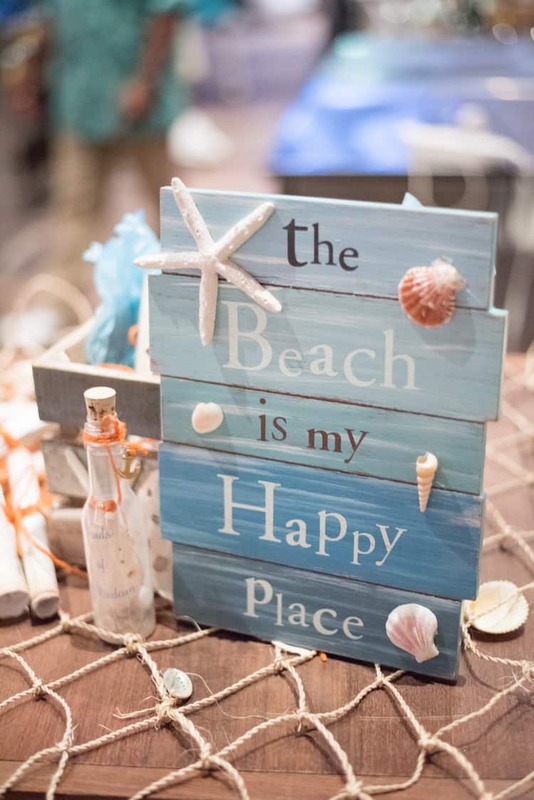 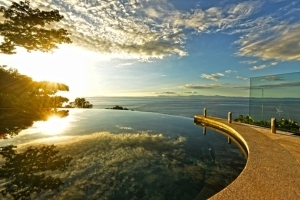 Enjoy your day! 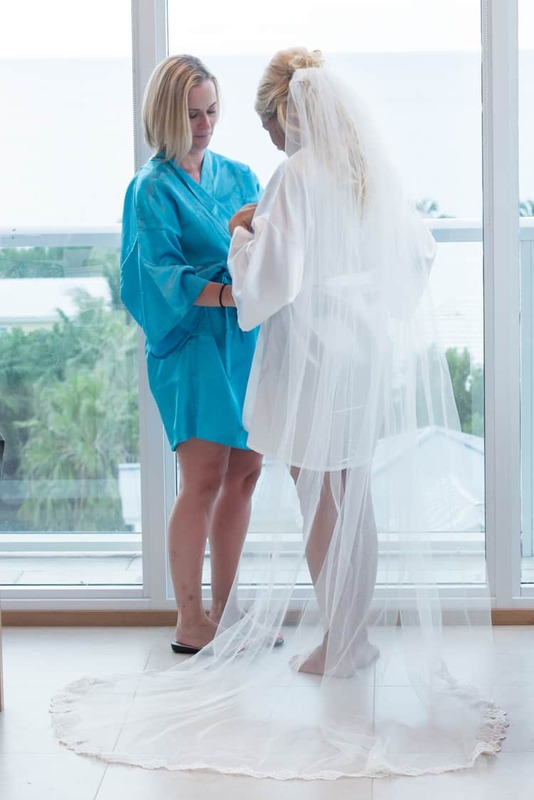 It goes by so fast! 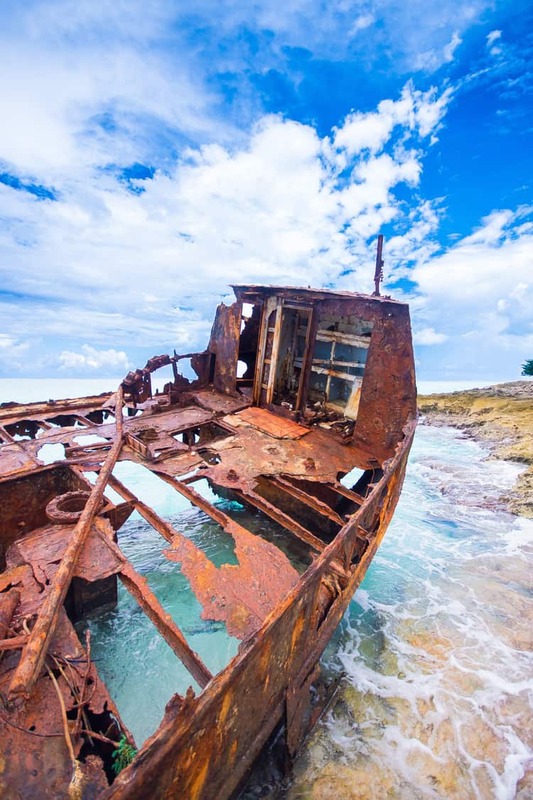 The history of the island.